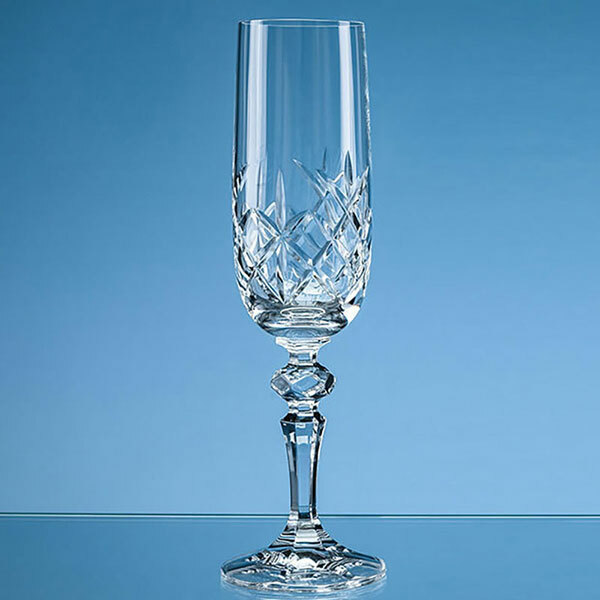 Crystallite champagne flute with cut decoration around the full body. Includes facetted ball in the stem. 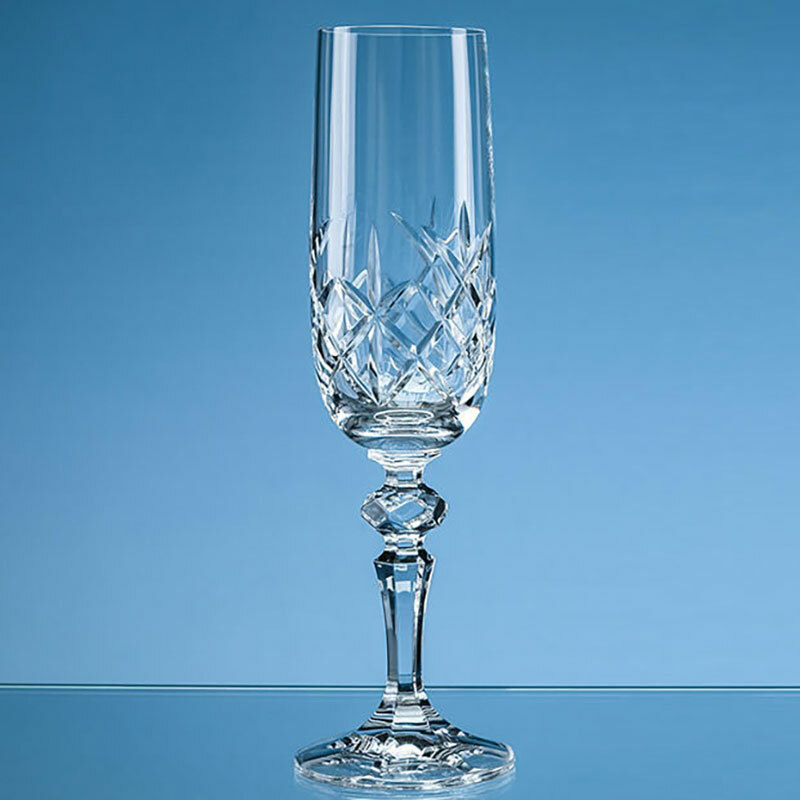 These 'Flamenco' crystal flutes have a capacity of 180ml (6.25 imperial fluid ounces). An optional deluxe presentation box is available. Please note, as this flute has full cut decoration, engraving is not available. 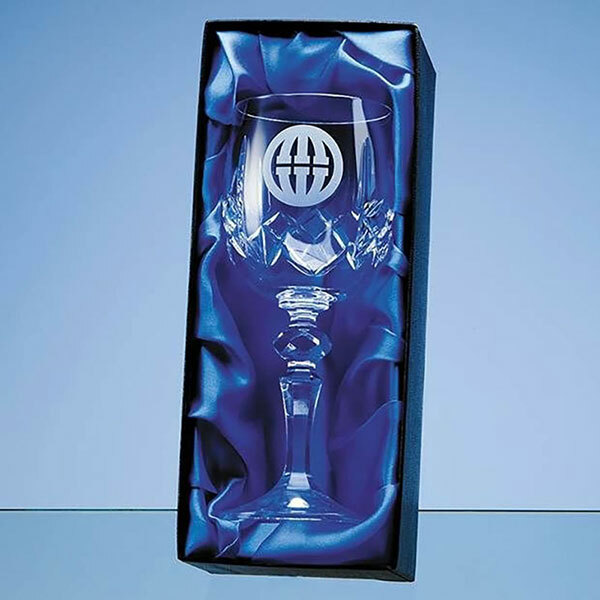 Dimensions: Height 215mm (8.5in); Diameter 53mm (2in); Weight 189g.